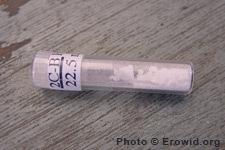 2C-B is a synthetic psychedelic that first gained popularity as a legal Ecstasy replacement in the mid 1980s. It is known for having a strong physical component to its effects and a moderate duration. Does 2C-B come in blotter form? Is 2C-B a research chemical? "Acute Effects of the Novel Psychoactive Drug 2C-B on Emotions" BioMed Research International. 2015.